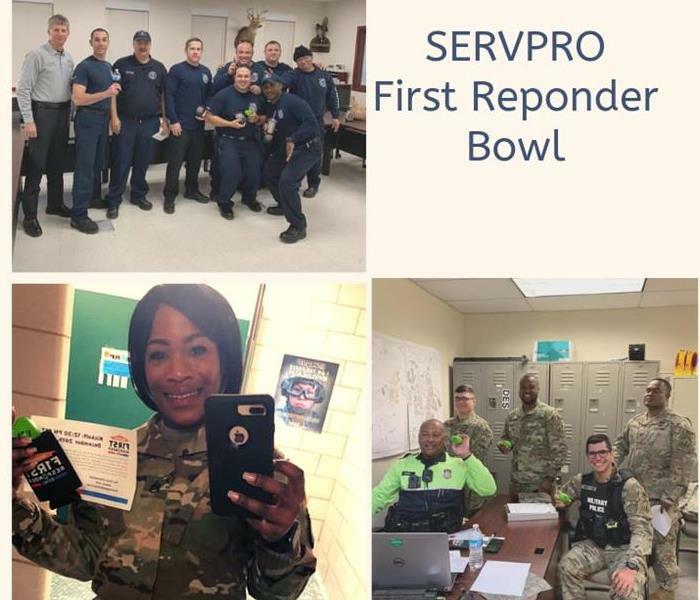 Our Marketing Rep had a good time meeting with all of the local First Reponders and having the opportunity to give them gifts and tell them all about how they can get free tickets to the SERVPRO First Responder Bowl!! 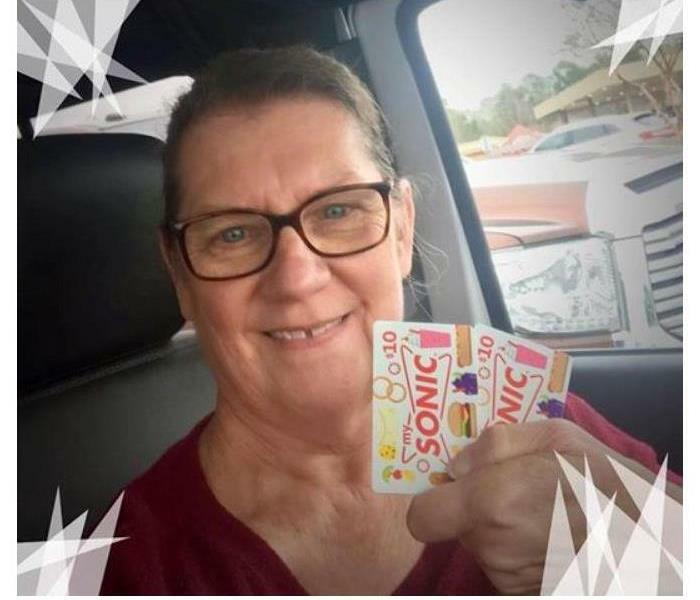 SERVPRO of DeRidder, Leesville, and Vinton is so happy to have been able to donate several Sonic gift cards to the teenagers at the local CASA organization for Christmas this year! 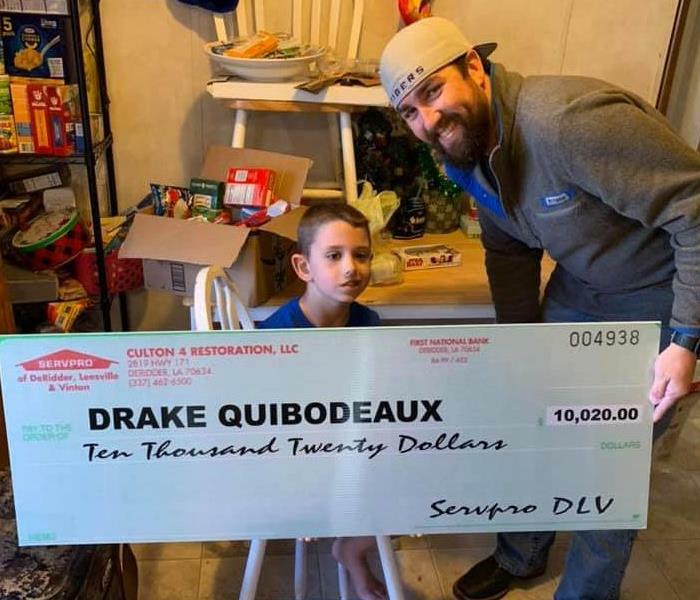 The GoFundMe Campaign that SERVPRO of DeRidder, Leesville, & Vinton was a HUGE success due to all of the love and support shown by all who donated! This was one of the best moments we've experienced!! When choosing a company to work with, choose one with storm damage experience and the right kind of equipment. Need to know if your home or place of business is storm-ready? Give us a call at 337-462-6500 for a free Emergency Ready Profile consultation. 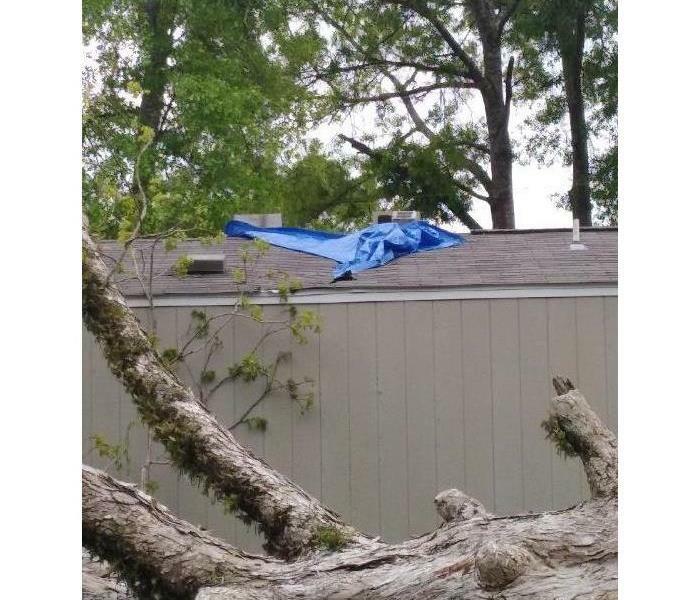 A storm caused a tree to fall on this property's roof, and the roof damage then allowed water to go into the home. Our crew arrived promptly at this property to do the tear out and start the drying process. Our customer thought his suits were hopeless. 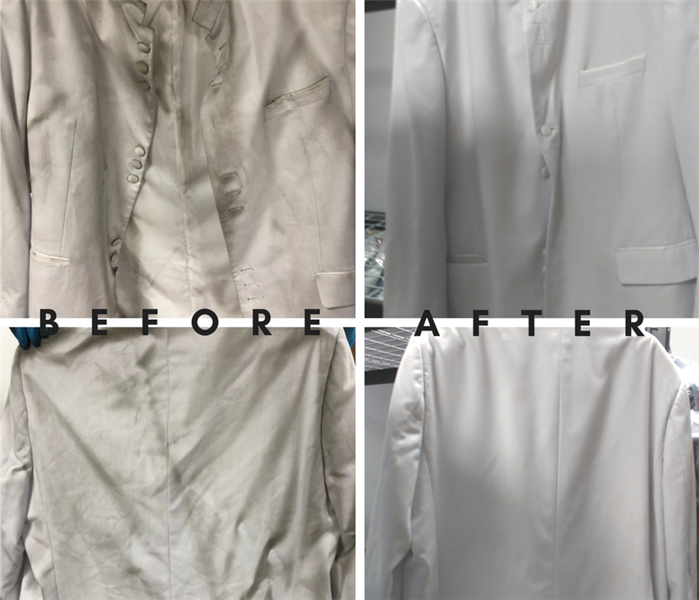 Luckily for him, we have a wonderful laundry technician and Esporta machine. We take care of our customers' clothing as if they were our own. 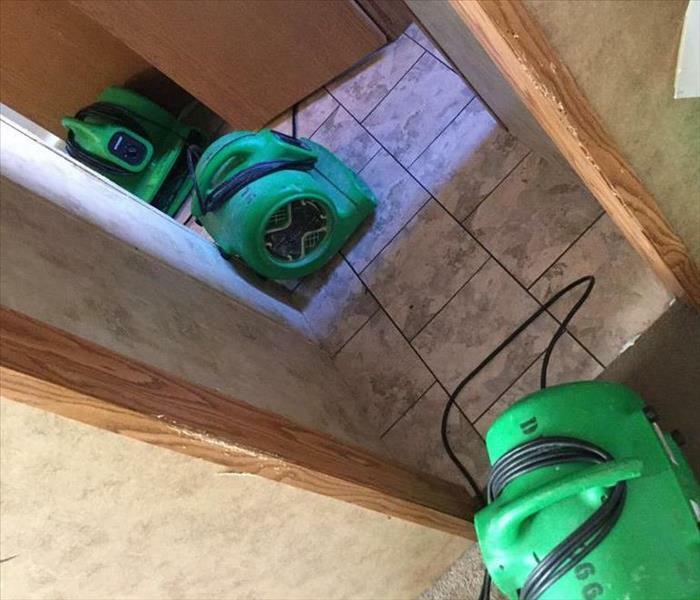 SERVPRO of DeRidder, Leesville & Vinton responded to a water damage call in Winnsboro, LA. 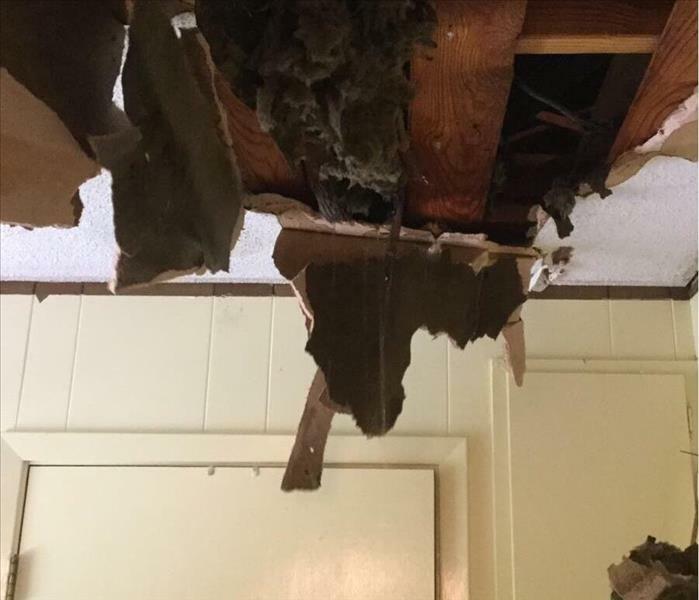 The roof leak caused the den ceiling to collapse, and we were able to complete a tear out. 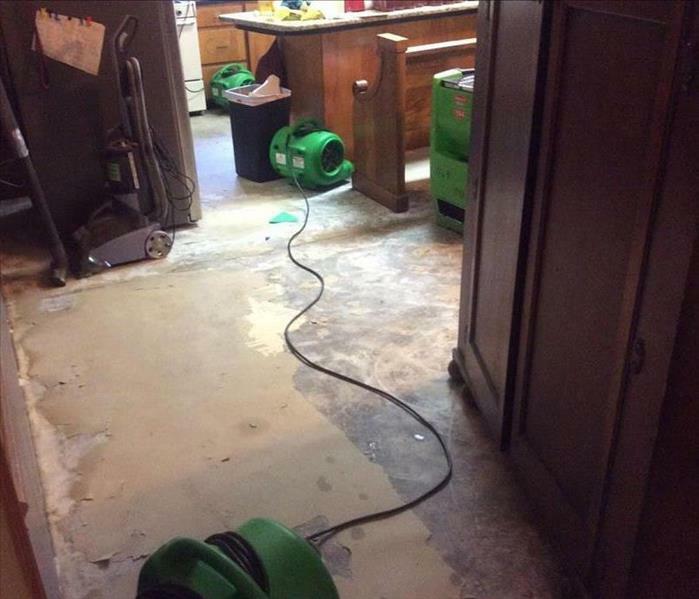 Our crew helped out with a water heater leak in Many, LA --affecting 3 rooms. Pictured here is an after photo of the laundry room with our SERVPRO drying equipment. 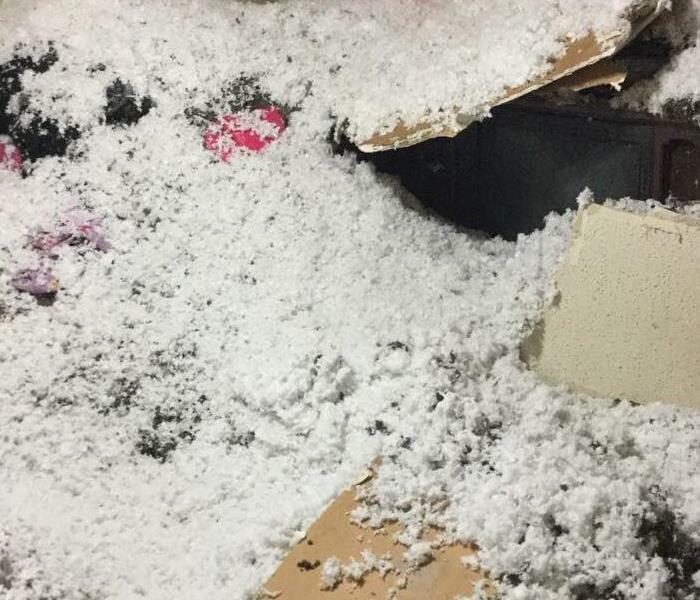 Our crew responded to a toilet overflow in Iowa. The overflow affected both the master bedroom and bathroom. 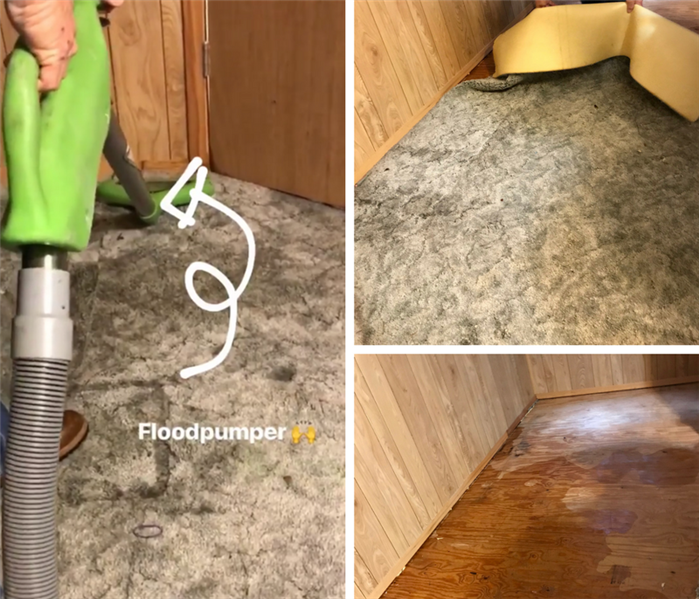 We were able to remove the affected flooring and set up the drying equipment. 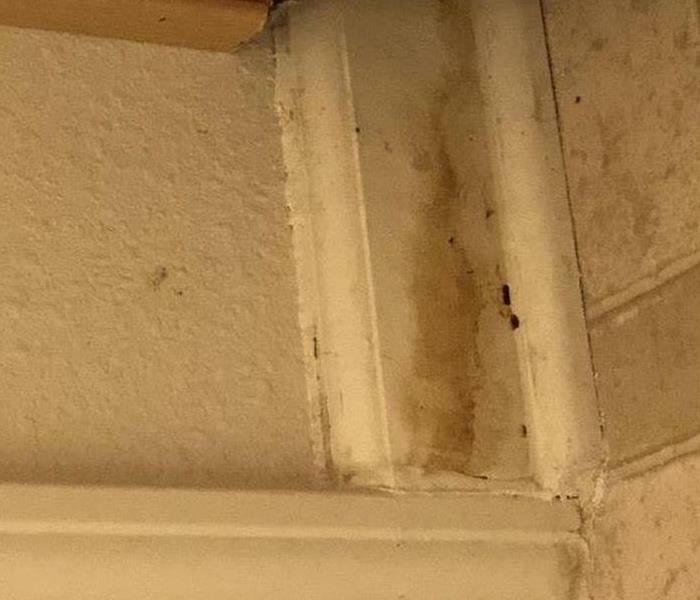 An issue with the dishwasher caused a leak in the kitchen of this home. The baseboards and flooring were removed, and the drying equipment was set up (as seen in the photo above). Here is a picture of an ongoing tear out in DeRidder, LA. 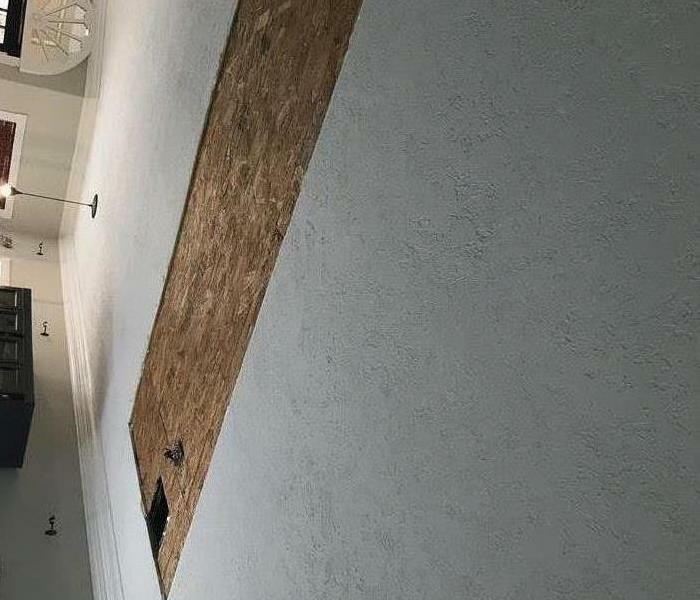 Our customer experienced a pipe burst which resulted in a ceiling leak. Once the tear out is completed, the drying equipment will be set up. 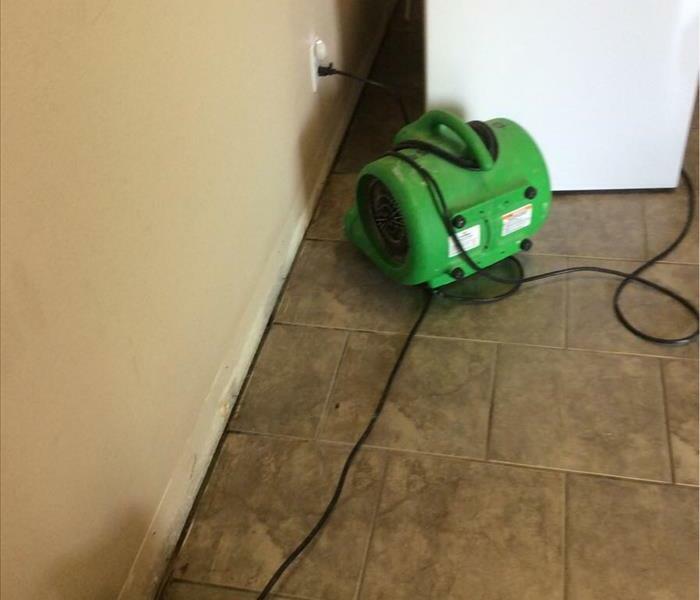 Water damage doesn't have to be caused by flooding or a pipe burst. Sometimes subtle clues such as wall discoloration can indicate water damage within your walls. It's always better to get in front of the issue before it leads to severe damages to your home in the future. A leak, coming from the attic, seeped through the main ceiling. Our crew removed the ceiling tile, and set up our equipment to start the drying process. The customer was very happy at how smooth the process went. 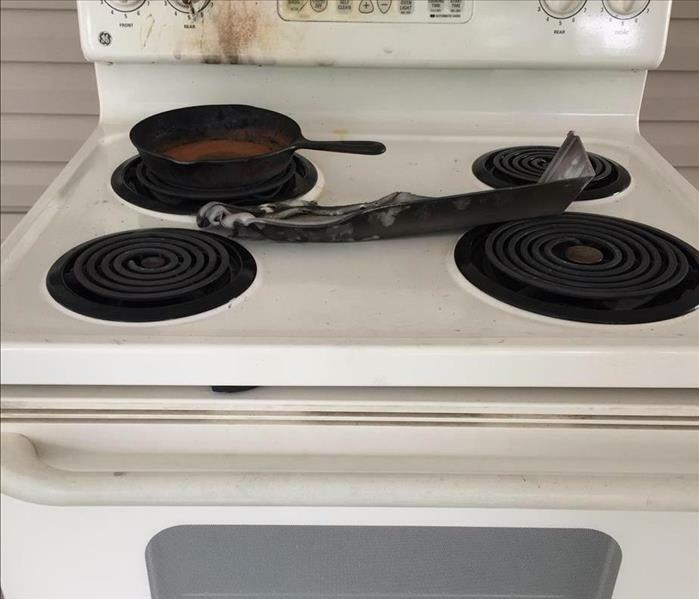 A cast iron skillet was the cause of the fire damage in this DeRidder, LA home. The homeowners felt relief that we were so quick to attend to this emergency. Our new marketing mobile will be used for meeting local businesses, creating ERPs, and supporting our crew. In case of an emergency call, our car is also equipped to transport equipment to expedite the recovery process. For mold jobs, we use gloves, protective suits and respirators to keep our team members safe. If you believe you have mold in your home or business, please give us a call at 337-462-6500 to see how we can help. 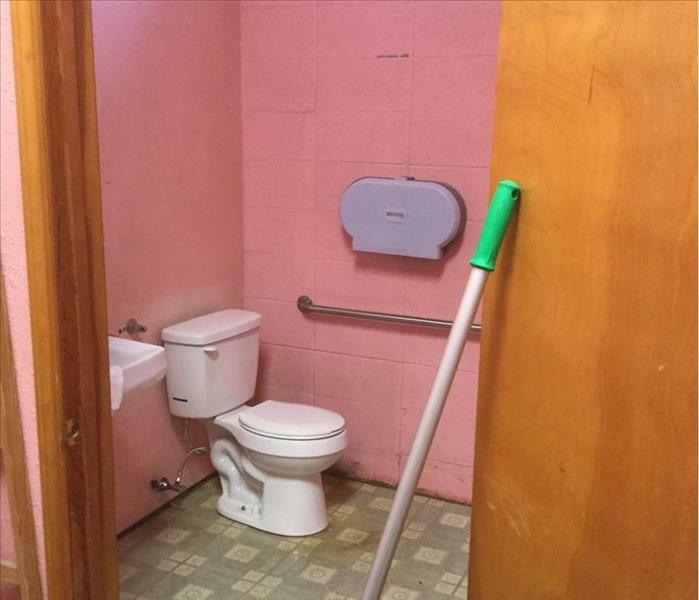 This commercial property experienced a sewage backup and our crew came to the rescue. Our SERVPRO of DeRidder, Leesville & Vinton team is trained to transform an unsafe environment back to a clean and healthy home/office. Mold is all around us, and can be caused by anything from a flood to extra moisture in the home. If you suspect that you may have mold in the home, make sure to contact a mold remediation specialist. Our technicians are trained to use specialized equipment and perform mold treatments to make sure that we control the damage from spreading, thus, saving you costs and keeping your family safe. For more information on our mold remediation service, please visit our website. If you have any additional questions, please feel free to give us a call at 337-462-6500. There was a baptismal pool overflow at a local church. Our team helped extract water and set up drying equipment in the main room. Our customer was very happy with the results. 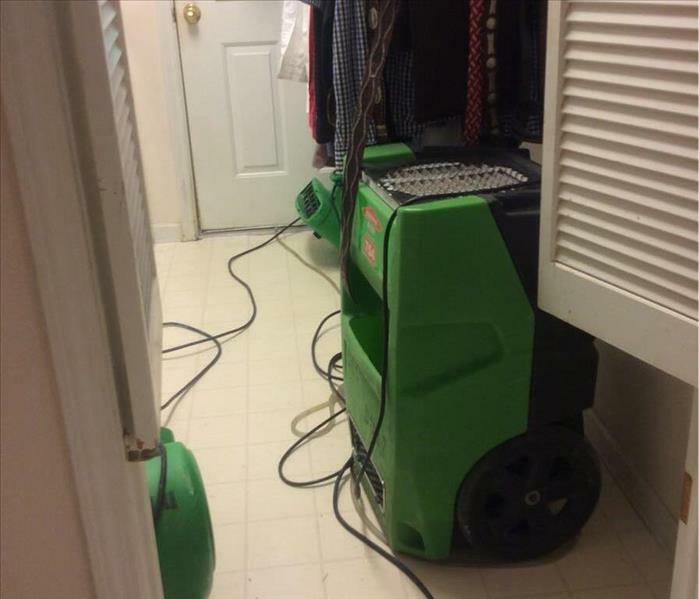 A kitchen pipe leak resulted in minor water damage in the kitchen, laundry room, and closet. Baseboards were removed from the laundry room and equipment was set up for the drying process. 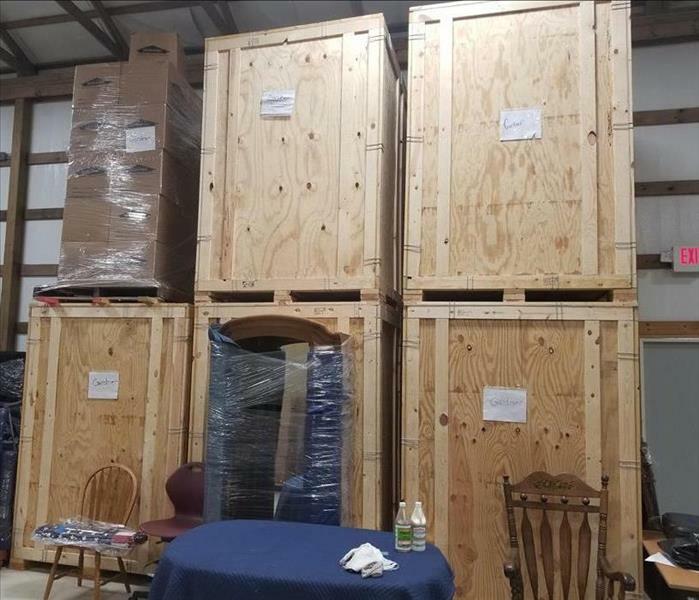 These boxes are filled with clothing from a fire damage job. Our technician is hard at work, cleaning (with our Esporta), folding, and packing our customer's clothes in time for the delivery. Our team responded to a water damage call in Leesville, LA. There was a pipe leak that flooded the entire first floor. 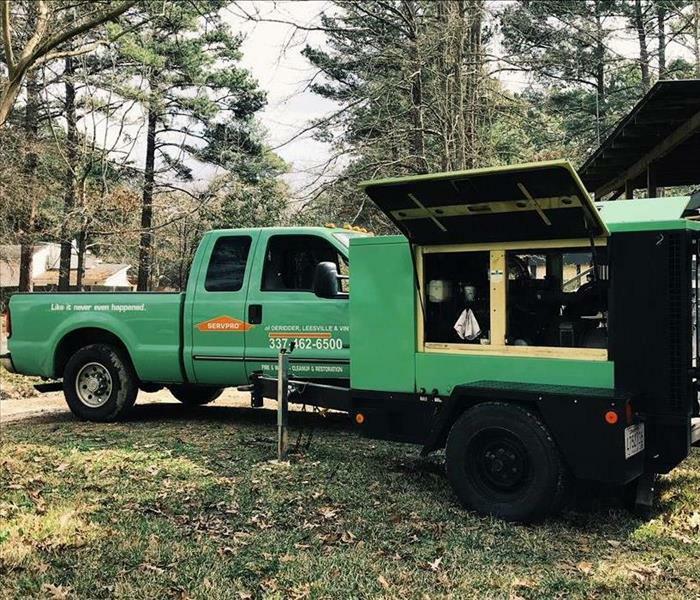 Our SERVPRO truck is pictured above with our generator. Here's our Floodpumper at work. We use this tool to extract the water before a carpet removal. In the home pictured above, the customer experienced a leak originating from the second floor. Cleaning your air filters every 3-5 months can help prevent mold growth. 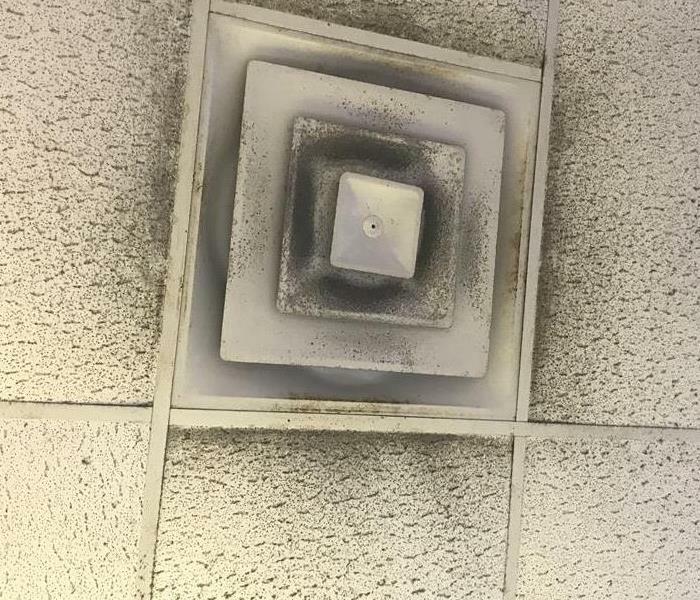 Here's a picture of what your air vents should not look like. If you notice signs like this, please give SERVPRO a call to see how we can help. Here is a picture of part of the team with our famous SERVPRO of DeRidder, Leesville, and Vinton golf cart. We love being a part of the community and using the golf cart when we participate in local parades!! Here's a picture of one of the owners, Mark Culton, driving our ProMaster for the first time to our office. 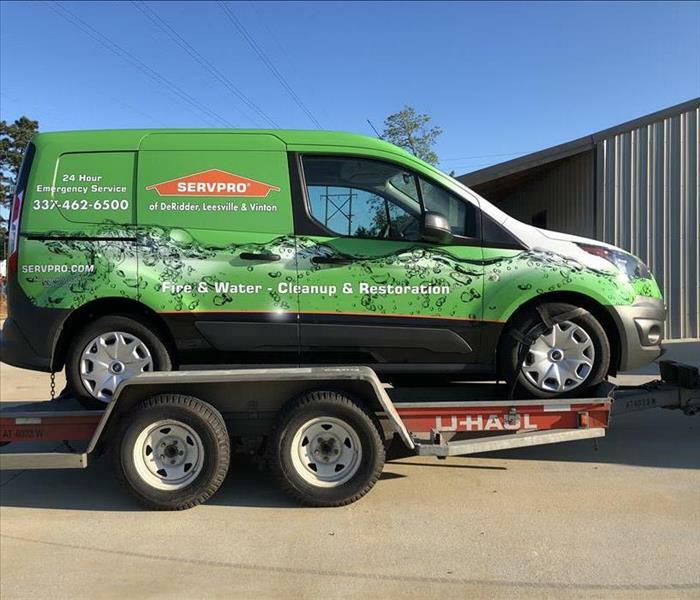 SERVPRO of DeRidder, Leesville & Vinton uses this vehicle to respond immediately to water, fire, and storm damage calls. SERVPRO of Deridder, Leesville & Vinton loves to participate in our community's events. Here is a picture of us w/ the Gillis Elementary Beta Club at the parade in Sam Houston. SERVPRO of Deridder, Leesville and Vinton always uses the latest and most advanced technology. We would like to introduce you to our Esporta - our new washing system proven to clean twice more than tradition washing systems. No matter the size of the loss, SERVPRO of DeRidder, Leesville & Vinton is ready! 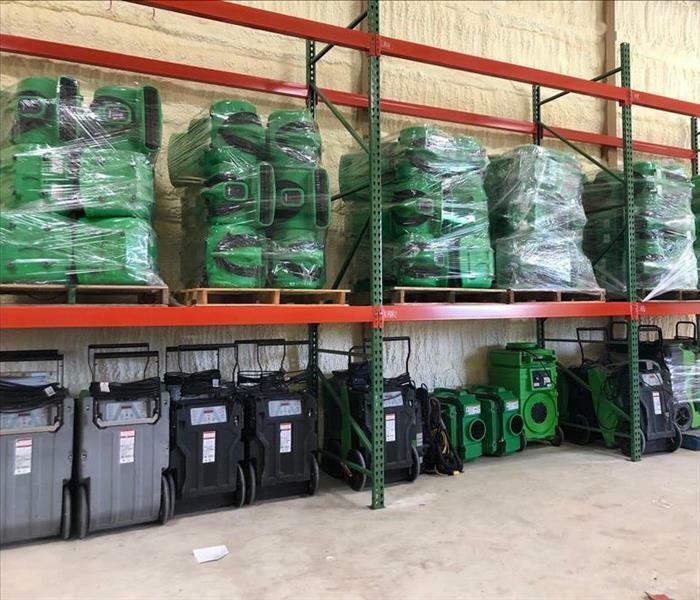 If the worst happens, SERVPRO is prepared to store our customers' contents in our climate controlled warehouse. Pictured is a number of our wooden vaults, housing cleaned and wrapped contents, ready for future delivery. 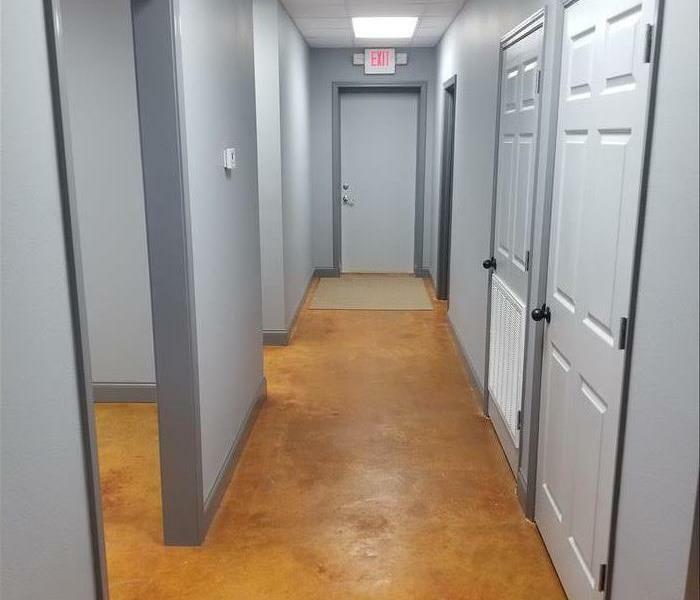 SERVPRO of DeRidder, Leesville and Vinton is very proud to announce the grand opening of its newly constructed office and warehouse at 2819 Hwy. 171 in DeRidder, LA. We are a local company that is here to help you at any time! This is our box truck which contains the flood pump. This vehicle is the first to respond to a water loss so that the water can be extracted from the site. 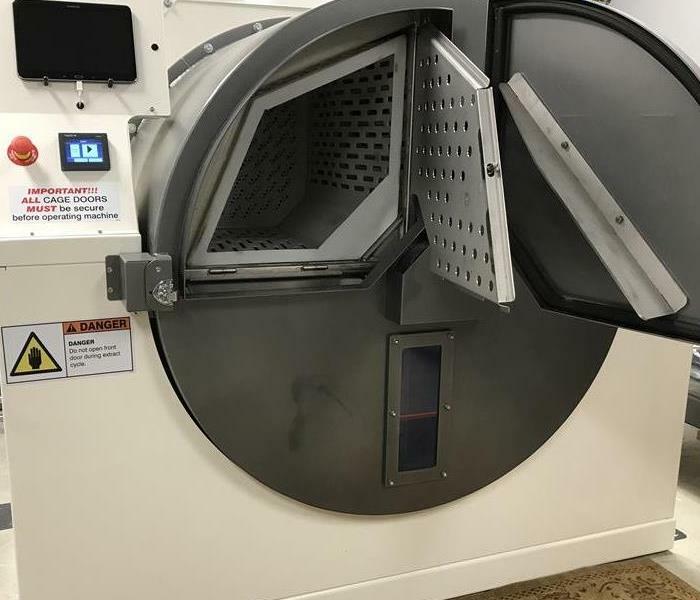 It also contains enough space in the back of it for all of the equipment needed to dry out the affected areas of the loss site. This is a photo from a fire that happened. One of the owners, Mark Culton, lends a helping hand to one of the technicians by getting the furniture out of the building. This photo shows you our equipment set up in one of the hallways of the church after the fire. There are 4 different pieces of equipment being used and they are: the power distribution box, the LGR dehumidifier, an axial fan, and air scrubber. 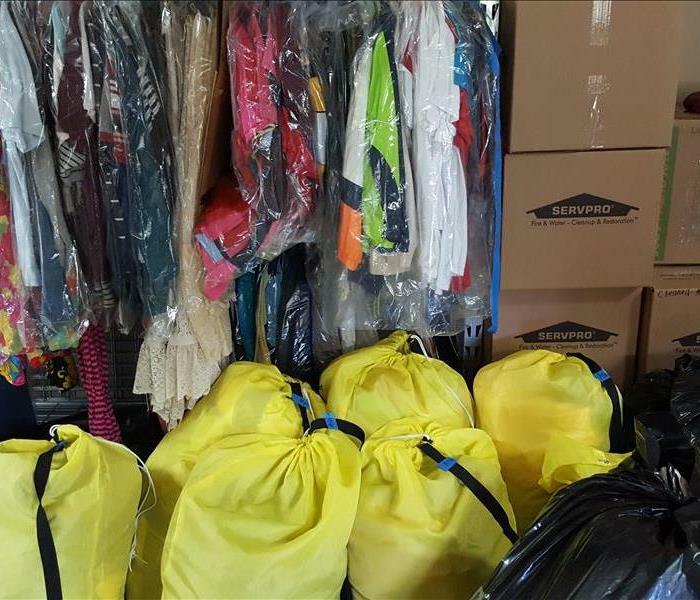 When a fire or water damage occurs in your home or place of business, your clothes will be taken care of! SERVPRO of Deridder, Leesville & Vinton uses the latest and greatest technology.